It’s our 12 Days of Christmas Sale 2018… Day 1! Every day until December 24th, we will reveal another deal… ALL of them are on until 5pm on December 24th! 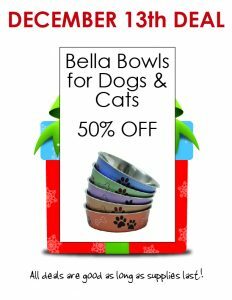 Now, until December 24th, get 50% off all Bella Bowls! Why Bella bowls? They’re great for dogs & cats as they come in many sizes. They’re stainless steel, dishwasher safe, with a grip on the bottom to prevent games of bowl hockey across the kitchen floor. Their design is timeless… great for everyday use, or special occasions like Christmas dinner! 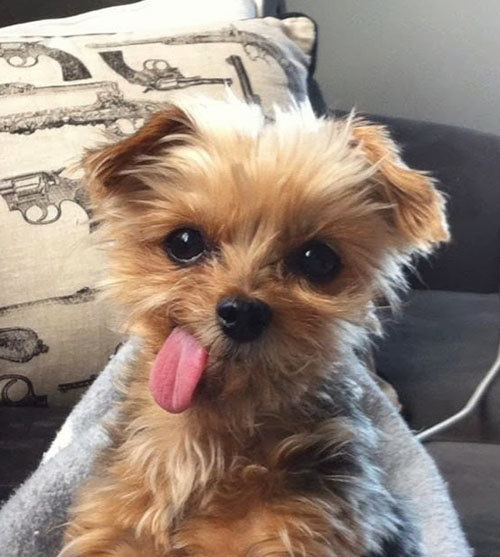 Plus, as a special bonus, just for visiting our site… we’ll also give you a FREE can of Canada Fresh dog or cat food when you mention this post and buy a Bella bowl! So Christmas dinner is on us! ← Today’s the final day of our 12 Days of Christmas Sale!